Does grandma’s chicken soup really chase a cold away? Do cayenne and lemon really scare away a sore throat? Some doctors and scientists are skeptical of old wives’ tale remedies, and some of this skepticism is justified. But Yung-Chi Cheng advocates for an open-minded approach to medical treatment. The end goal, after all, is to give patients the best care possible, and that means no potential treatment should be overlooked. Had Cheng been close-minded to eastern medicine, ignoring remedies from ancient China, he would not have come across a new drug with exciting promise for cancer therapy. With PHY906 — a four-herb recipe that for 2,000 years treated diarrhea, nausea, and vomiting in China — Cheng is transforming the paradigm of cancer treatment. Cancer is a relatively modern medical condition, but cancer treatments could use some support from traditional recipes. Cheng is a Henry Bronson professor of pharmacology at the Yale School of Medicine. 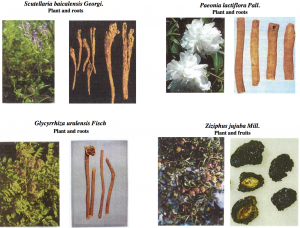 Members of his lab have standardized the PHY906 concoction, emphasizing good manufacturing practice to circumvent some of the criticisms of traditional herbal remedies. In 2003, Cheng started the Consortium for the Globalization of Chinese Medicine, linking 147 institutions and 18 industrial companies. “It is the biggest non-political nonprofit with no bias or discrimination in promoting traditional medicine,” Cheng said. The story of Cheng’s career showcases this belief in learning from some of the earliest approaches to fixing human ailments. PHY906 is currently awaiting FDA approval, but researchers at multiple institutions across the country are collecting data to support its effectiveness. Results so far have been promising: this herbal remedy seems not only to diminish the nasty side effects of cancer treatments, but enhances the efficiency of the treatments as well. Dr. Yung-Chi Cheng, PhD, the Henry Bronson Professor of Pharmacology at the Yale School of Medicine and the Chairman of the Consortium for the Globalization of Chinese Medicine (CGCM). Courtesy of Dr. Cheng. PHY906 is based on the historic Huang Qin Tang formula, pronounced “hwong chin tong.” The four ingredients are Chinese peony, Chinese jujube, baikal skullcap, and Chinese licorice. Some of the strongest evidence has come out of studies in mouse models, which show that all four ingredients are necessary in order for PHY906 to be maximally effective. When any one ingredient was left out, the recipe was not as successful in treating mice with liver cancer. Even without the tools of modern scientific research at their disposal, healers in ancient China devised a scientifically sound solution for a health problem. Cheng and his colleagues support the examining of many different types of historical texts for cultural remedies. Despite scientific advancement, researchers can still learn from the past. Still, scientists want more than an interesting idea grounded in history and culture — they expect reproducible and quantifiable results. PHY906 has so far measured up to the stringent standards of modern research. The experiment in mice used PHY906 in combination with Sorafenib, the only FDA-approved drug for the treatment of this specific liver cancer. Not only did the addition of PHY906 decrease unwanted side effects, but it also enhanced the efficacy of Sorafenib. Ongoing research involves deciphering if PHY906 produces similar results in treating other cancers and in different treatment combinations. The drug is proceeding through several levels of clinical trials as it seeks FDA approval for human use. This involves testing the compound in combination with other conventional cancer therapies, such as radiation treatment. The ultimate goal is to bring PHY906 to the U.S. as a prescription drug to supplement chemotherapy, which is notorious for its terrible side effects. Cheng has long been interested in side effects, and in ways to eliminate them. His independent scientific career began in 1974, when he investigated viral-specified replication systems. At the time, few people thought there would be a way to selectively target viruses using specialized compounds, but this soon became a reality. Using the herpes virus as a model system, Cheng found that virus-specific proteins could in fact be susceptible to healing agents. That is, you could introduce a compound that targets viruses without harming other cells in its wake. Less than a decade later, Cheng discovered a compound to combat cytomegalovirus, a major cause of infant mortality. The same compound worked to treat people infected with HIV in the 1980s. This breakthrough in treatments for viral diseases motivated many scientists to search for drug-based treatments for a variety of health conditions, including cancer. (In fact, this was the point when medicine saw the early development of cancer drugs.) The new drug compounds were effective in targeting diseases, but they simultaneously caused detrimental side effects. The question that followed was how to eliminate negative side effects without reducing the beneficial effects of a drug. Cheng decided to probe the mechanism of action of these drugs. He found that side effects stemmed from toxification of the mitochondria — these organelles are energy powerhouses, and they were suffering damage and declining in number. Cheng’s findings made the next step in drug development exceedingly clear: treating diseases would require a targeted approach, one that attacked the disease-causing agents but kept all other cell parts working normally. When he zoomed in his focus on cancer, Cheng realized it was unlikely that a single chemical would be sufficient. Cancerous tissue is heterogeneous, which means one compound is unlikely to affect an entire population of cancer cells. “It was clear that a new paradigm needed to be developed as to how to fundamentally address cancer treatment,” Cheng said. His solution was to turn to the human body’s immune system, which shifted the focus from treating cancer from without to exploiting the body’s own internal mechanisms of healing and defense. With this more holistic view of cancer, Cheng thought that multiple targeting agents would be needed in combination, since it was improbable that one compound would succeed on its own in killing the mixed cancer tissue. Identical treatments often had varying degrees of effectiveness in different patients, leading Cheng to look to historical medical practices for clues that would hint at better treatment options. While reading about ancient remedies still in use today, Cheng discovered that Chinese medicine had been using the multiple target approach for generations. Armed with this insight, he investigated roughly 20 herbal combinations that are still in use but have ancient roots. These home remedies have been used to address symptoms such as diarrhea and nausea, and Cheng believed they could also prove useful in reducing the side effects of cancer treatment without disturbing the important work of chemotherapy. The four ingredients that compose PHY906: Chinese peony, Chinese jujube, Chinese licorice and baikal skullcap. Courtesy of Dr. Cheng. Cheng’s lab is also working to understand why and how the combination of herbs in PHY906 is so effective. Current data points to two primary mechanisms. The first proposal suggests that the recipe works as an inflammation inhibitor. All three major inflammatory pathways in the body seem to be affected by the presence of PHY906, suggesting that the herbs have multiple sites of action within the body. By addressing all three pathways, the results of PHY906 are better than any anti-inflammatory drug on the market today. Interestingly, there was one class of ancient Chinese diseases that translates to “heat.” Diseases in this subset were related to inflammation. When traditional remedies prescribed to treat “heat” diseases were screened against six well-characterized inflammation pathways, more than 80 percent of the herbs in this treatment category showed activity against at least one pathway. When a different class of herbs was tested against inflammatory pathways, only 20 percent showed any relation. The oral tradition seems to correlate with strong scientific results. The other mechanism of action for PHY906 could be that the herbal combination enhances the recovery of damaged tissue by increasing the rate of propagation for stem cells and progenitor cells. Both cells tend to differentiate into different target cell types depending on what is needed. By activating the expression of genes in charge of the stem cell and progenitor cell pathways, PHY906 can accelerate the proliferation of new cells to fix damaged tissue. These scientific suggestions for the magic behind PHY906 offer some hope that the drug could one day be applied to treat other diseases besides cancer. In keeping inflammation in check, for example, the ancient herbal remedy could prove useful in mitigating symptoms of colon inflammatory disease. Another significant impact of PHY906, one that Cheng hopes continues growing in the future, is its role in the convergence of modern and traditional medicine. An integrative approach to treatment considers all options and explores the potential of compounds new and old. 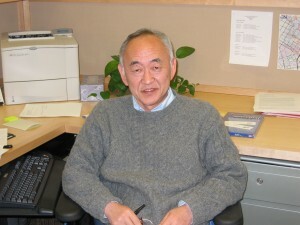 Cheng’s work is one example of a shift in perspective that may be essential in unlocking mysteries of modern medicine. There are certainly concerns to be raised over the application of ancient home remedies in modern medical practice, but Cheng’s lab works hard to keep all research up to stringent scientific standards. The team operates under good manufacturing practice, ensuring that each batch of PHY906 product maintains the same chemical properties. One of the key issues with natural medicine is deviation in ingredients — each ingredient is grown from the earth and not in the lab, which means it may have a slightly different chemical composition every time it is used. Good manufacturing practice is a precise process that specifies exact minutes, concentrations, and temperatures for each step in drug development. What makes Cheng’s product unique is that no other pharmacological institution has created such precise rules and regulations for the manufacture of a traditional remedy. And it is a remedy he truly believes in. “It is our job to figure out the right combinations to solve our problems,” Cheng said. PHY906 could be a leap forward in cancer treatment, and it only came to light through open-minded research practices. Cheng’s Consortium for the Globalization of Chinese Medicine emphasizes collaboration to make the most of integrative medical research. Consortium members come together in dealing with the challenges of working with traditional treatments and share quality control regulations as well as sources of herbs. About the Author: Milana Bochkur Dratver is a sophomore molecular, cellular, and developmental biology major in Jonathan Edwards College. In addition to serving as the volunteer coordinator for Synapse, she enjoys serving on the board of the Yale Undergraduate Society for the Biological Sciences, organizing Relay for Life, and volunteering at Haven Free Clinic. Acknowledgements: The author would like to thank Professor Cheng for his time and enthusiasm about sharing his research. Cover image by Alex Allen.